Our branch at Coldhams Road in Cambridge continues to offer our own value for money range right up to the most exquisite Hypnos brand, as supplied to many five star hotels around the world. Our salespeople do not earn commission, so you will always receive impartial and honest advice and they are extremely knowledgeable and can offer you many years of experience. 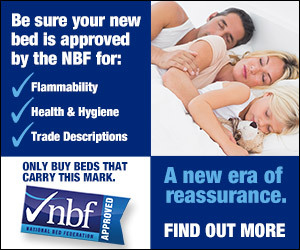 We stock beds and mattresses by virtually every major manufacturer including top brands such as Breasley, Dunlopillo, Salus, Hypnos, Kaymed, Relyon, Sealy, Silentnight - plus a selection of great value ranges from smaller manufacturers. Prices start from as little as £59 for a single mattress and go up to over £4,000 for a top-of-the-range Hypnos Divan set. And because we have been established in Cambridge for over 100 years and trade from our own premises with over 20,000 feet of space we are able to buy in bulk at reduced prices and then pass these savings directly on to you. Many of the beds we display (around 100 at the last count) we try to keep in stock for immediate delivery or to take away. We offer a full delivery service, including Saturdays and we can take away your old bed and even assemble your new bed if you wish. It's time to get the best sleep you've ever had with these bits of advice. Oh, this? It�s just an article full of totally legitimate reasons to stay in bed today.